This page is a "work in progress" and is being supplemented as more information comes to light. If you have additional information about Lapraik's descendants who were born before 1850 your feedback would be welcome. 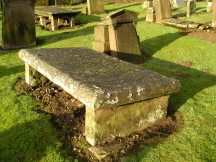 The two tombstones in Kirkgreen Churchyard have inscriptions which refer to other members of the family who are buried there. 7th May 1807 in the 80th year of his age. DIED 12th MAY 1890 AGED 86 YEARS. At least some of these items are now held by East Ayrshire Council, Museums Arts and Theatre Section and include a wooden armchair and the family Bible which has a list of his children and their birth dates - he had five children with Margaret Rankin (three of whom reached the years of maturity) and nine further children with Janet Anderson..
Three brothers and one sister still reside near the place of their birth. The latter was married to a Mr McMinn, farmer Nether Wellwood. She is a widow - an elderly matronly woman - and perfectly remembers the visit paid by Burns to her father at Muirsmill. Her brother Thomas, has long been shepherd on the farm, which is large, and consists partly of pasture. James and John reside in Muirkirk. The former is a retired farmer. The latter served his apprenticeship as a cooper, but was pressed on board a man-of-war; and, having been captured by the enemy, was ten years in French prison. After the peace he returned to Muirkirk, where he now follows his original calling. He is the only one of his trade in the village, and is on that account generally styled "the cooper". He is well-known in the neighbourhood - can spin an interesting yarn - and, like a genuine old tar, is by no means averse to his grog. 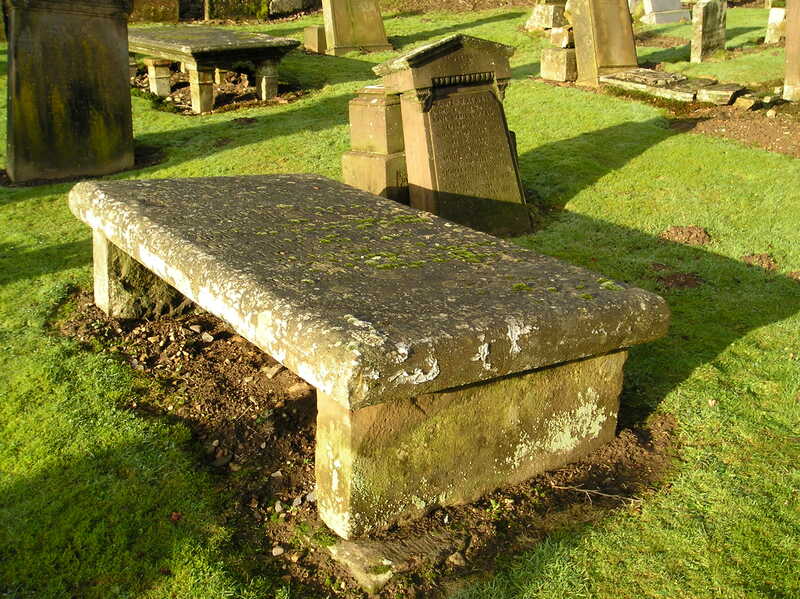 Janet Anderson lived till the 5th March 1825 when she died aged 83.